: All Year Long (Except. Sunday's, PLUS 20th December 2014 To 3rd January 2015.) Weekday's 10am To 5pm, Saturday 11am To 4pm. The South Shields Museum Is On Of Many In Newcastle. The Museum Is Located On Pedestrianised Ocean Road, Just Five Minutes Walk From South Shields Bus & Metro Stations. There Is A Public Car Park To The Rear Of The Museum Signposted Off Anderson Street. There Is A Dropping Off Point For Coaches On Nearby Mile End Road. The Museum Is Behind Morrisons. This Friendly Venue Explores The Story Of South Tyneside Through Sensational Displays, Hands-On Exhibits & Stunning Art, Including The Lifetime Achievement Of The Successful Local Author Catherine Cookson. 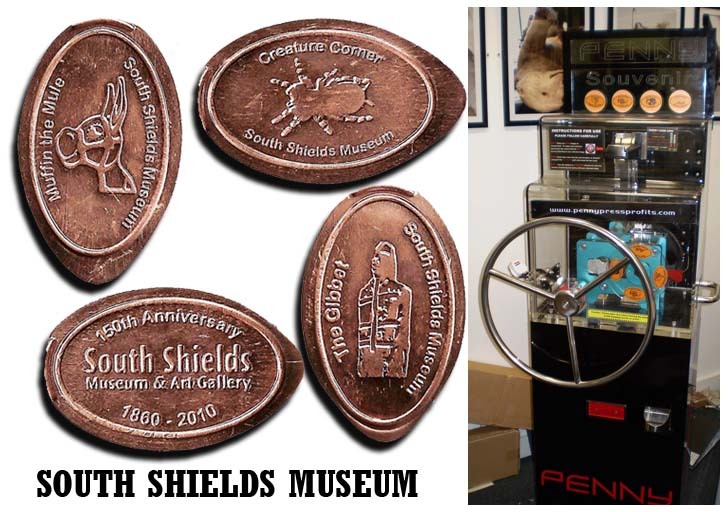 The South Shields Museum & Art Gallery Have 1 Machine With 4 Different Penny Designs. 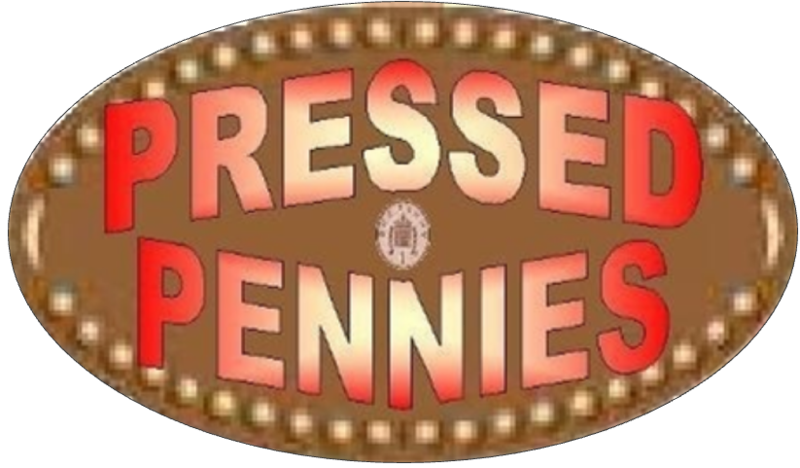 The South Shieds Penny Press Machine Is Not Far From The Shop, Go Up The Stairs At The Back Of Shop & Follow The Route Round Until The Live Reptile Tanks, It's Just Out Side That Room.